A Texas poll worker told an undercover journalist on Nov. 6, that she had seen “tons” of non-citizen voters who weren’t legally supposed to vote. The female Project Veritas journalist, posing as a girlfriend of a potential Deferred Action for Childhood Arrivals (DACA) voter, told the worker that she was worried her boyfriend wouldn’t be able to vote. “If he has his ID that’s all he needs. If he’s registered,” an election worker told her. “It doesn’t matter that he’s not a citizen?” she responded. The journalist asked her for clarification, which she was happy to give. “From early voter. We’ve got tons of them. Tons of DACA voters. Okay,” the second worker said. Non-citizens voting in federal elections is illegal. 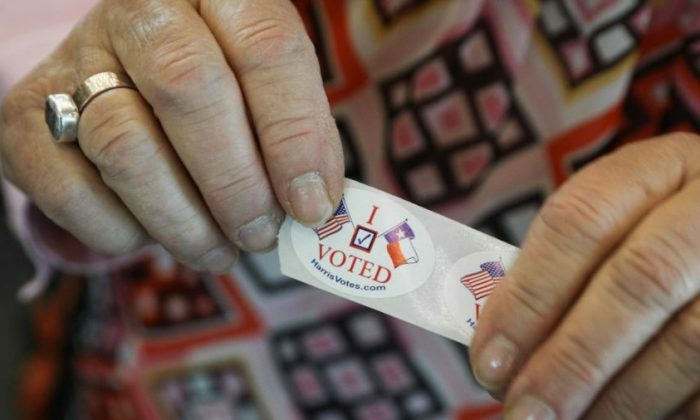 Federal officials have been cracking down on foreign nationals voting, charging 19 people for illegally voting in the 2016 presidential election in August. They faced prison sentences and fines if convicted. Texas Gov. Greg Abbott noticed the undercover video and said he was looking into it. “I can’t verify if this is accurate. I CAN verify that it will be investigated and if it IS accurate, illegal votes will be tossed out and wrongdoers will be prosecuted,” he said via Twitter. “I can testify to this video’s authenticity. This was recorded on Election Day in Texas. @Project_Veritas is able and willing to assist in providing any materials to the Attorney General’s office!” Project Veritas founder James O’Keefe responded on the social media website. Project Veritas also released videos from the midterms capturing poll workers recommending people to vote for Democrats, which is also illegal. While some apparently voted illegally, other DACA recipients were aware that voting was illegal for them. They tried to take other measures, such as urging people who can legally vote to vote. Saul Rascon Salazar, a 17-year-old high school senior, told CNS that he hopes people remember DACA recipients when voting. “Keep us in mind,” he said.